It was like that for me with Felix Dennis, whose Garden of Heroes and Villains and Poetry Shard Garden I recently visited in Dorsington, near Stratford-upon-Avon. Perhaps it’s unsurprising my subsconscious had blocked Dennis out previously; I would not have been at all interested in his underground publishing activities or magazines called OZ in the late sixties and early seventies, or in the obscenity trial that he was involved in with two colleagues in 1971. Over the years I’ve been aware of other big creative personalities who have indeed made an impact on me – author Adrian Plass, poet Adrian Henri, artist Graham Clarke and actor Brian Blessed among them – and now, rather late (four years after his death) I’ve discovered Felix Dennis. I bought a book about his 2010 nationwide poetry tour, Did I Mention the Free Wine? by Jason Kersten; and looking at pictures of him, I can see his physical appearance in later years reminds me of all of those four. And not least he reminds me of Sir John Falstaff in Shakespeare’s Henry IV Part 1 & 2. A man with a gift and an instinct and an appetite for making money, he amassed millions and when he died in 2014 he ultimately bequeathed them to the creation of a forest. What an amazing and wonderful legacy, a legacy for the future of humankind. And I also discovered his poetry, beginning with those poems that were engraved on shards of glass in his poetry garden. I’ve plucked all the cherries Chance would allow, Take them, and welcome – I’m done with them now. His bluntness and honesty, expressed in poetry, immediately appealed to me, as it has to so many who enjoy the gallows humour in his rhyming couplets. But the poems contain much more than gallows humour: sharp observations on life expressed in unpretentious, witty poetry that lends itself beautifully to live performance. Being a fan of live performance poetry, I can only wish that I’d found out about Felix years ago, and actually attended his poetry performance in the Bridgehouse Theatre, Warwick in 2010. Did you know my very first published work under the name of SC Skillman was a cry from the heart, in the form of a poem which appeared in print courtesy of The Beatles? Here it is, a cry from the heart of a frustrated fan, as it first appeared in Beatles Monthly edition no. 64, testifying to my obsession with Paul McCartney and my shameless dedication to turning up at Paul’s House in St John’s Wood, London, in the hope of catching a glimpse of him. The poem is addressed to Johnny Dean, who was the editor of the Beatles Book. This poem sums up what I feel at the moment! Or he’ll have just gone off to India. He makes sure I’m not there. Makes sure Sheila Skillman isn’t outside. And doesn’t get a chance of seeing him. She’s got no idea, luv. And then decides it’s safe to turn up. In short, S. Skillman Has Ways Of Not Meeting Paul. But don’t worry, she’ll do it one day. There were, of course, usually many fans congregating outside Paul’s house, and I will admit I have had some fascinating conversations with people there. It’s also known that in the early days of his ownership of the house, Paul might often pop outside the front gate and get the fans to take his dog Martha for a walk, or do other tasks for him. Nothing like that happened, alas, when I was there. But the poem I wrote about it, within the Beatles Monthly magazine no. 64, remains a part of Beatles folklore, and it forms part of my extensive collection of Beatles memorabilia, along with several other editions of the Beatles Monthly magazine. I will always remember how I felt when I saw my poem had been printed. I first heard about it from Leslie, a friend of my parents, whose daughter Sarah was also a Beatles fan. Leslie said to me slyly one day, “I see you’ve flown into print, my dear.” I was surprised and didn’t know what he was talking about. He mentioned Sarah, and Beatles Monthly. Shortly afterwards I shot down the road to the newsagent, procured my copy, and began walking up the road. flipping through the magazine. I opened it to the letters page and saw my poem. The feeling I had then may be compared to that of a first time novelist who gains their first contract of publication with a commercial publishing house. An over-the-top reaction perhaps… but that’s how I felt. I walked up the road to my home in a golden haze. These responses were the equivalent to comments on a tweet or a blog post now. I also began long pen pal correspondences with two of the writers from the USA and one of them sent me a ticket from the Beatles’ famous concert at Shea Stadium on 15 August 1965, as well as original prints of photos she’d taken of the Beatles; she later visited London and I had the pleasure of meeting up with her. Being American she was much more upfront than me and had met the Beatles and pushed herself forward on occasions when I would have hung back shyly in the background! Chrissy O’Brien, if you read this blog, it would be lovely to hear from you again! I saw your name in Beatles Monthly so I thought I’d write to you… (Anna from California). Open this link to read all about the 2013 film about Freda Kelly Good Ol’ Freda. Click here to read another of my posts on Paul McCartney, the first in my blog series People of Inspiration. I’d love to hear your Beatles thoughts and memories. Please do share in the comments! My daughter Abigail, Creative Media Production student, has recently completed a project on Alfred Hitchcock’s editing technique in Psycho. So I’ve watched Psycho again several times recently. And my fascination with the subject led me to pick up the books Abigail had gathered for her project, and read them myself. Editing techniques in film can of course be applied to fiction writing too; what you choose to show, and the way you cut it together, can play a vital role in creating an emotional response in the audience. 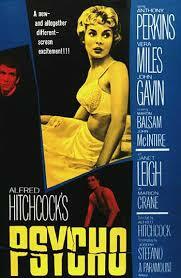 Hitchcock was the master of this, and profoundly influenced the history of film with his genius. Over the last week we’ve been watching the DVDs of the US TV series Bates Motel, which is a prequel to the events of Psycho, set in the contemporary world, and showing how Norman developed to become the figure Anthony Perkins so famously portrayed in Hitchcock’s 1960 film. We’ve now watched 6 episodes of Bates Motel in which the young Norman is played brilliantly by Freddie Highmore, (who looks like a young Anthony Perkins); his mother Norma is played by Vera Farmiga; and an additional character Norman’s older brother Dylan, is played by Max Thierot. This is the most discerning portrayal of dysfunctional family dynamics. As a writer of psychological suspense fiction myself I cannot help but be mesmerised by the skill with which Norman’s early life is portrayed, and by the clarity and focus with which it accounts for Norman’s behaviour in Psycho. The series is highly focussed in what it says about unhealthy mutually-interdependent relationships, in this case, between a mother and son. IN particular Vera Farmiga as Norma is outstanding, as she portrays the toxic mix of Norma’s psychological make-up. We watch mesmerised as the pace of events, and the choices she makes, precipitate her into rapid changes between being over-affectionate, unreasonable, controlling, proud and hard, aggressive and emotionally manipulative. Finely blended into this mix, we find flashes of callous indifference, mental cruelty and martyr complex, as she puts guilt on Norman. Dylan, the older brother is an inspired addition to the gallery of characters, one whom we didn’t see in Psycho. In Bates Motel he represents normality. As he says about Norma: “She’s always got a drama, and she always will. She’s like an addict. And when you have an addict in your life the best thing you can do for them is walk away from them…” “You’ve just got to get away from mum,” he says to younger brother Norman. “She’s just going to bring you down with her.” How prophetic of the events in Psycho. And as you follow the twists and turns of the plot, you see how Norma has a talent for creating alternative scenarios when things go wrong, which serves only to complicate things further and make them far worse. Dylan tries to persuade her to “stop making up stories”. As you watch the drama, you just long for Norman to accept Dylan’s offer to leave his mother and go to live with Dylan instead. You start to persuade yourself that this could be the vital moment of choice, when, if Norman had taken this step, he might have been saved from the tragedy and horror of the future as presented in Psycho. And yet you still can’t help thinking: would that help? How would Dylan deal with Norman’s mental health problem? Would Norman end up killing Dylan instead? If you’re at all interested in the psychological suspense/thriller genre, do get hold of the DVDs of “Bates Motel” and see for yourself! Having received this book as a Christmas gift, substantial 375-page tome that it is, I devoured it in a few days. I found the book utterly compelling. Hunter Davies starts by describing his search among collectors, companies and auction houses for what must surely rank among the most valuable “scruffy scraps of paper” in the world: those the Beatles first wrote their original lyrics down on. A good proportion of these got thrown away by the Beatles then disposed of by the cleaners at Abbey Road Studios but several of those which didn’t ended up in the possession of certain key individuals who wish to keep the huge value of their possessions secret. Hunter Davies himself offered his own personal collection of handwritten lyrics to the British Library on permanent loan and they now reside in the Manuscript Room alongside the Magna Carta, Shakespeare and Wordsworth. Alongside photos of the handwritten lyrics, some on the backs of letters and birthday cards and envelopes, Davies gives an account of how the words were chosen, and what they mean, with some intriguing memories from his own personal contacts with the Beatles and with Brian Epstein. In so doing, he tells the story of the Beatles’ lives as musicians and songwriters entirely in and through the lyrics, the way they were composed, and the way in which their writers developed personally between 1957 and 1969. 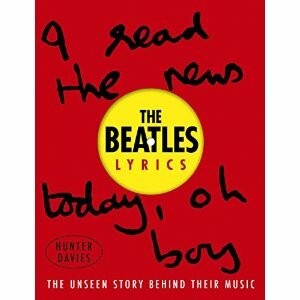 Davies also examines the way the words emerged from the Beatles’ own life experience. I found his insights into Paul McCartney and John Lennon all the more moving because a lot of those biographical details held high emotional charge for me at the time. I became a Beatles fan at an early, and very impressionable, age – too young to be allowed to go to any of their concerts. Nevertheless I was devoted to them; every detail of their lives reported in the media, I followed avidly. But there were several things I misunderstood.For instance, by the time “Beatles For Sale” came out, the acquisition of a new Beatles LP was so precious to me, so desirable, that I would never have guessed this title emerged from the Beatles’ own feelings of almost unbearable pressure at the commercial expectations being laid upon them. On page 234 Davies notes: “This was their philosophy: you could do these things, if you really wanted. There was no need to follow the rules or be bossed around.” How I identify with that ideal. Yet the truth is that this can only really apply to creatives when they have established themselves and become successful. As Hunter Davies says, “it helped that by this time they were multi-millionaires who had already made their mark in the music business.” And they’d made their mark through following Brian Epstein’s rules and letting him boss them around. To conclude, I found studying this book to be a very intense experience. As we see the lyrics developing from boy-girl love songs fixated with promises to “be true” into richer, profounder and often more disturbing lyrics, as we study how the Beatles’ lives became more complex and their experience of the world deepened, it’s almost like seeing a reflection of our own lives, moving on from naivety, simplicity and idealism, through all the mistakes, folly, betrayal, loss and disillusion, along with the flashes of wonder, fun, hope, and joy. Last night I watched the final live Monty Python show broadcast from the O2 arena and delighted once again in those famous sketches, performed by the original Pythons, less of course, Graham Chapman. 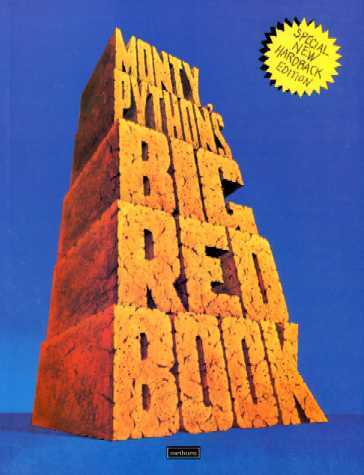 I recalled one night at university when I sat on a bed with a group of fellow-students, and one got hold of my copy of Monty Python’s Big Red Book. He then read the book aloud to us, word by word, for the next several hours, and we spent most of the night laughing hysterically. In fact I believe the Python humour translates to the printed page even better than to TV. That event is probably why certain images and phrases remain in my mind, like the address Behind the Hot Water Pipes, Third Washroom Along, Victoria Station; and why I remember the Whizzo Speed chocolate assortment, and Doug and Dinsdale Piranha, (who I have occasionally wished I could put into a novel but realised it would be plagiarism), and also Miss Gloria Pules, who when interviewed about the Piranha Brothers, said they were wont to introduce one to eminent celebrities. At the 02 Arena, the Dead Parrot Sketch and the Argument sketch were to my mind as good as the originals. The Spanish Inquisition sketch didn’t have, for me, quite the same impact when the comfy chair was threatened. And a bit was missing out of Postal Blackmail. Nevertheless it was wonderful to see Eric Idle, John Cleese, Michael Palin, Terry Jones and Terry Gilliam on stage acting the classic sketches. Monty Python has infused everything each has done subsequently. 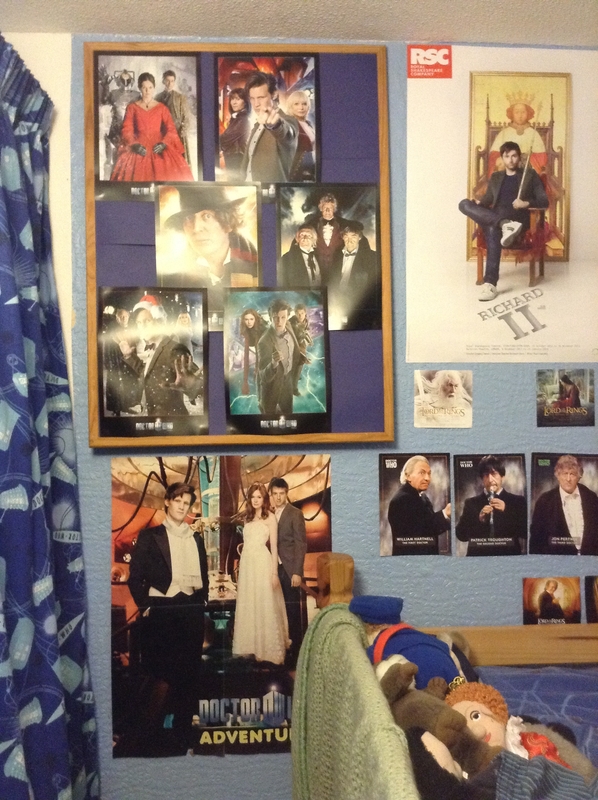 I have followed and enjoyed their creative work over the years, and loved them because they were Pythons; I’ve watched the films and the TV programmes, read the books, listened to the songs. I queued up outside Waterstone’s in Kensington High Street, London, to buy a copy of Terry Jones’s Fairy Tales and have it signed by the author and illustrator. In all they have done, the Pythonesque secret language has been there somewhere, that anarchic, surreal element, the parody of a parody of our British society, that we, embedded in that society, all innately recognise and understand, to such an extent that it can be instantly recalled with the words: This is an ex-parrot or Is this the right room for an argument? or Nobody ever expects the Spanish Inquisition. I was also thrilled to discover that John Cleese, like myself, loves Roget’s Thesaurus; which played a large part in creating the most memorable lines in the Dead Parrot sketch. Do you too love the Pythons? do share what the Pythons mean to you, by commenting on this post! On Friday morning January 10th 2014 I heard Mishal Husain interview Ian Crawford and Nicola Triscott on this topic on the BBC Radio 4 Today programme. Nicola Triscott has mounted an exhibition on London’s South Bank called Republic of the Moon. She has transformed The Bargehouse at Oxo Tower Wharf into ‘an artist’s lunar embassy on earth’. During the interview we heard a quote from Article 1 of the 1967 Outer Space Treaty: “the moon is the province of all mankind”. Apparently Article 2 prohibits nation states from appropriating the moon. But now there is some concern that that treaty should be updated, and private corporations should also be added to the provision. In 1967 it was never thought that any private corporation would be in the position of being able to exploit the resources on the moon. When in the history of the human race have such words on treaties and constitutions and charters of human rights ever been respected in reality? Colonial invaders have always operated on the principle of Finders Keepers. First here exploits it all. Such was the case with Captain Cook, Don Cortez and many such. An exhibit on The History of Human Conflict at the Firepower Museum, Royal Arsenal Thames Riverside, Woolwich, (a brilliant museum which I recommend to all), tells us that human conflict began when men turned from hunter gatherers to farmers. Mankind began to fight over the limited resources of land suitable for cultivation. The source of all human conflict is: limited resources. God grant there are no resources on the moon that can ever be of any economic value to mankind. For man is greedy. I generally do not have an optimistic view of human nature. And neither does JRR Tolkien. His own view was expressed through the words of the Lady Galadriel in The Lord of the Rings: the race of men…. above all else desire power… the hearts of men are easily corrupted and the Ring of Power has a will of its own. For exploitable resources, read the Ring of Power. If there are valuable resources on the moon, I believe that mankind WILL fight over them, and private corporations and nation states WILL exploit them to gain and increase their power. 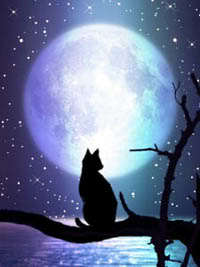 Let the moon continue to be the sole province of poets and mystics; of those who gave us glimpses of eternity, of creative writers, and those who dream, and those who deal in mystery and imagination. And let the only lunar resources we draw upon be those of inspiration. So many children’s bedrooms up and down the UK and around the world must look similar to this one, in our home. 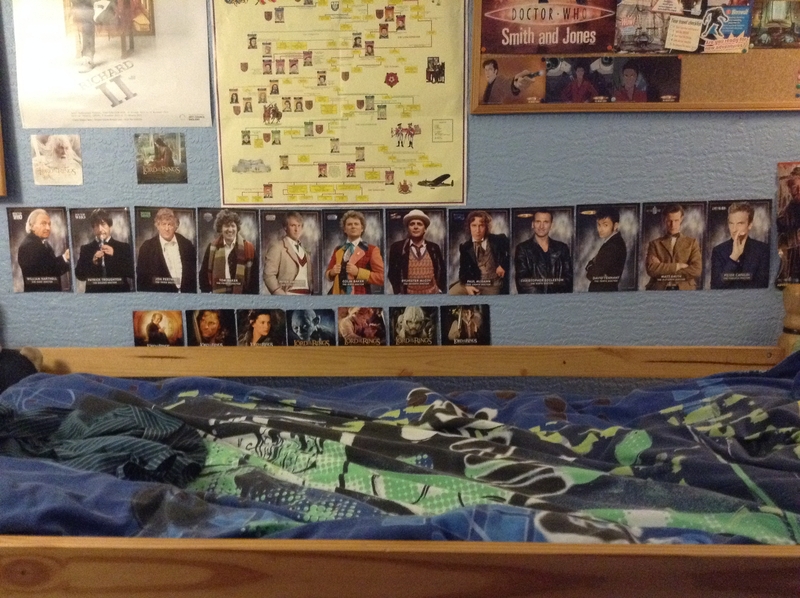 In the recent celebrations of the 50th anniversary of the BBC drama series Doctor Who, the question has been posed: why do you think Doctor Who is so popular? * As a fictional character, he is a perfect combination of science and religion. He has the Christlike qualities of power, knowledge and goodness; combined with the vast possibilities of science. He plays into our archetypal longings for balance and justice in the universe, plus our thirst for knowledge and our fascination with the potential of science and our quest for empowerment. * he has power over time. Time, death and the ageing process are among those things we cannot control, though we dream of doing so. * he engages us on a spiritual level. He represents the perpetual battle between good and evil. * the character of the Doctor, with all this power, knowledge and goodness, contains both playfulness and gravity. We respond at a deep level to paradox. Every one of the eleven actors who has played the Doctor has at some level combined the weight of ultimate responsibility and moral integrity with a quirky, mercurial quality. And the twelfth Doctor seems set fair to carry this same quality. * we are always learning new things about the Doctor. He always retains his mystery. * the Doctor is essentially lonely and poignant. He loves, and he evokes love. Yet he can never become emotionally attached to any one human – not without tragic repercussions or complex tampering with the space time continuum. * he regenerates, just like nature, just like the Green Man, a symbol of rebirth, found in many cultures from many ages around the world. The Doctor is all these things and more. And we love him not only because of all this, but because of the genius of all those involved: the executives, actors, writers, directors, producers, monster-creators, technical people, visual and special effects people and composers and musicians. They will have overcome everything that human weakness can throw at them, during the fifty years of the programme’s life, as we saw only too well from the Adventure in Space and Time episode about BBC executive Sydney Newman, actor William Hartnell, producer Verity Lambert, and director Waris Hussein. Yet the archetypal power of this fictional character, his relationships, his story represents for many our dream of transcending those limitations and that frailty. Frankie Howerd is my all-time favourite comedian. In my recent “Next Big Thing” blog I noted that, as an author, I owe part of my inspiration to characters I’ve loved on TV and movies. Frankie Howerd is up there with the greatest. I think of him now with love and admiration. He shines out in the world of popular entertainment. To me, his comic personna represented the archetypal underdog, which the British love. His success during his time as one of our most-loved entertainers was probably due in large part to the English Class System. Frankie Howerd, I felt, was “the common man” speaking to you one-to-one about what you and he truly feel about all those who have far grreater pretensions to sophistication, intellect,wealth or status. The Channel 4 programme noted that his most outstanding quality was connection with the audience. People loved him through his shambolic delivery, through “the hotch potch that he was”. During my childhood & young teenage years he was for me a source of great delight. Before I saw the recent Channel 4 programme, I hadn’t previously realised he was closely involved with the Beatles during their early days and even filmed a scene with them for the film Help, which ended up on the cutting room floor. I longed to see that scene again but it seems it was destroyed. And that was exactly what we had been doing. Waiting for Frankie Howerd to come on. There was no feeling of egotism about it. It had the quality of Frankie meeting up with you at a time which you and he had arranged. As if you were friends, just keeping an appointment to meet up. Unforgettable, too, was his use of his own full name, “Francis”, to denote some kind of appeal to a more serious, higher status self, one with more gravitas. He was the actor Aristophanes, the ancient Greek comedy writer, would have loved for his plays. The Channel 4 programme revealed the anxieties behind his performance, and how much he depended on his devoted partner, Dennis. I believe, too, that Frankie’s style of lewd, effete, lecherous humour as exemplified in the TV sitcom series “Up Pompeii” in which he shone out as the slave who never got to the end of his Prologue, is something only gay men truly excel at. 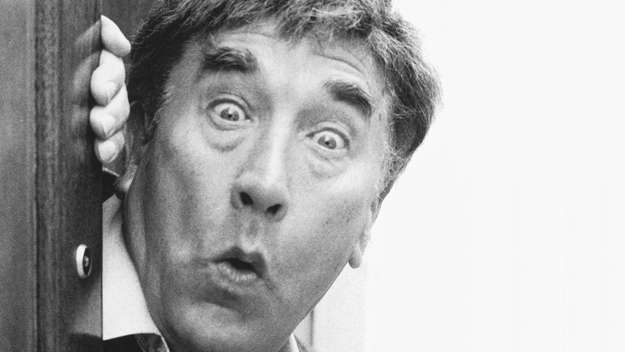 Frankie Howerd died on 19 April 1992 and just before he died, in his last public appearance, he spoke to an audience of students in the Oxford Union saying, “I’m not what you would call an intellectual… brainy… a clever clogs,” delighting the Oxford students. Do you have a favourite comic entertainer of all time? I’d love to hear your own choice! In my last post, on the case of Jimmy Savile, I wrote about the dark side of celebrity. We live in a society obsessed with celebrities – the gods of this secular age. And we try to convince ourselves that fame would guarantee entry into a perfect region of love, wealth and success. Yet the reality for the famous themselves is often not as appealing as we might think. There are many examples of celebrities who suffer from depression. The cure for loneliness, we are led to believe, is love. And in our midst, there are those who feel unloved and unlovable. These people may not take a recognizable form. The most attractive people may be among those who feel unloved and unlovable. 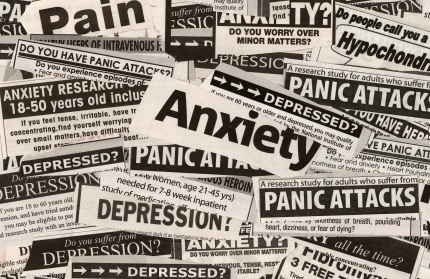 The rise of depression, anxiety and stress in our society provides ample evidence of this – as does the incidence of poor body-image, low self-esteem, and eating disorders such as anorexia. It is rare to find love that is not conditional. “All you need is love,” sang the Beatles. And as it happens, I’m listening to them singing those very words right now as I write this. But the love we need must be unconditional. Unconditional love is a very difficult concept for human beings to grasp. Only divine love can be unconditional. The love of God can work through the most unexpected people – and that includes people who are not religious, and have nothing whatsoever to do with churches. So it may indeed be that the cure for all this is unconditional love. Compassion, humility, and gentleness are not the exclusive province of religious people. I believe we taste something of that unconditional divine love in any place where compassion, grace, love and faithfulness are to be found.